Our local photographers are all sharing their holiday portrait packages and have been doing holiday shoots for weeks now. I guess that means that it is time to order our holiday cards! I still have not yet gotten our Christmas pictures done, but we will be soon! 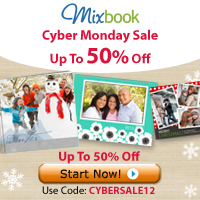 Here is a roundup of some of this week’s deals for holiday cards. If you find any better deals, either local or online, please let me know and I will share here! I WILL UPDATE THESE EVERY WEEK WITH THE NEW DEALS AS THEY COME IN. Take 20% off Minted’s entire selection of foil-pressed products with code FOIL. Offer is good for 50% off 6×8, 5×7, 5×5, 4×8 flat, 5×7 folded, 5×7 trifold, 3/4 folded and ornament cards, square trim, signature cardstock; 30% off foil-stamped, photo paper cards, 4×5 flat, 3×5 folded, mix and match cards and wedding suite cards, square trim, signature cardstock through shutterfly.com or our mobile-friendly site. Taxes, shipping and handling will apply. Other trim, paper and envelope options will incur extra fees. 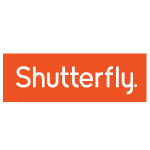 Not valid on calling cards, prepaid plans, cards sent using mailing services, prior purchases, orders placed for in-store pick up and purchases made on the Shutterfly apps. Cannot be redeemed for cash or combined with other offers or credits. Not valid for resale.